Karnataka were off to a bad start when opener R Samarth (0) was trapped LBW by Unadkat in the first over of the match. After this third-ball setback, the hosts were jolted with two more blows by the left-arm paceman, whose first spell analysis read 7-3-19-3. Bengaluru: Half centuries from captain Manish Pandey, vice-captain Shreyas Gopal and wicketkeeper Sharath Srinivas could not stop Karnataka from conceding the opening day advantage to Saurashtra in the Ranji Trophy semi-final on Thursday (January 24). After winning the toss and electing to bat first, the hosts ended Day 1 at 264/9 in 90 overs. It could have been worse if not for Pandey (62), Gopal (87) and Srinivas' (74 not out) batting efforts at the M Chinnaswamy Stadium. Saurashtra skipper Jaydev Unadkat was the pick of the bowlers with 4/50 while off-spinner Kamlesh Makvana took 3/73. 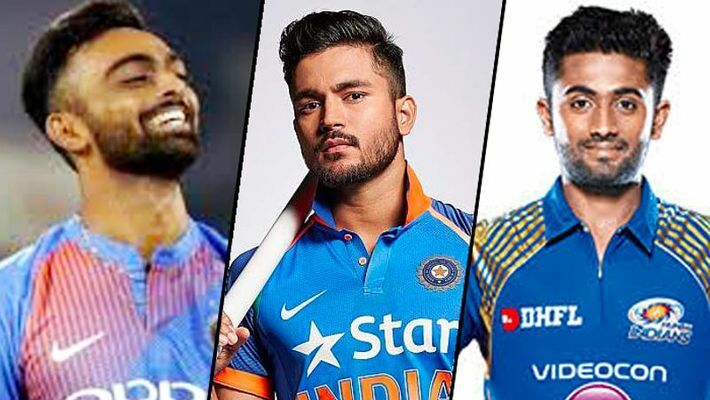 Unadkat removed Mayank Agarwal (2), who had a successful tour with the Indian Test team in Australia, and number three batsman KV Siddharth (12). Agarwal had returned to the team after missing the quarter-final due to a finger injury. Karnataka were reduced to 19/3 and that became 30/4 when Karun Nair (9) fell to the other left-arm seamer Chetan Sakariya. At this stage, Pandey and Gopal joined to rescue the team. Pandey, who played a key role in the quarter-final against Rajasthan at the same venue last week, decided to counter-attack. The right-hander, who was recently dropped from the Indian ODI team, stroked a 67-ball 62 with four fours and three sixes. He and Gopal had a crucial 106-run partnership for the fifth wicket. It was again Unadkat who struck in the post-lunch session by sending back Pandey, bowled. However, Gopal continued to flourish in the middle in the company of Srinivas. Gopal was in sight of a century but threw it away in the 76th over of the innings. He attempted a pull shot against Makvana and was bowled for a fine 87 off 182 balls with nine fours and a six. He and Srinivas added 96 for the sixth wicket and helped the team cross the 200-run mark. Srinivas, who came into this match as a replacement for BR Sharath, hit 11 boundaries during his 177-ball knock. After Gopal's exit, K Gowtham (2), R Vinay Kumar (8) and Abhimanyu Mithun (4) followed soon. The last man Ronit More and Srinivas played out the remaining 2.1 overs in the day and will resume tomorrow in hope of getting closer to 300.